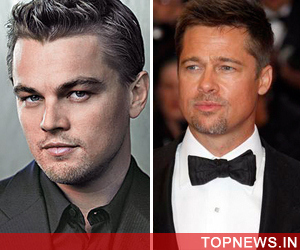 Washington, January 15 : Leonardo DiCaprio has replaced Brad Pitt to become the new face of watch giant Tag Heuer. According to WWD, Pitt had been the ambassador for the Swiss watchmakers for six years, and his contract ended in November. And now, the `Titanic' actor has signed a three-year-contract with the brand to model for their Carrera Day-Date timepiece, reports Us magazine. A representative for DiCaprio's revealed that the star's multi-million dollar-commitment and royalties generated from the deal would be poured in to support major environment campaigns.